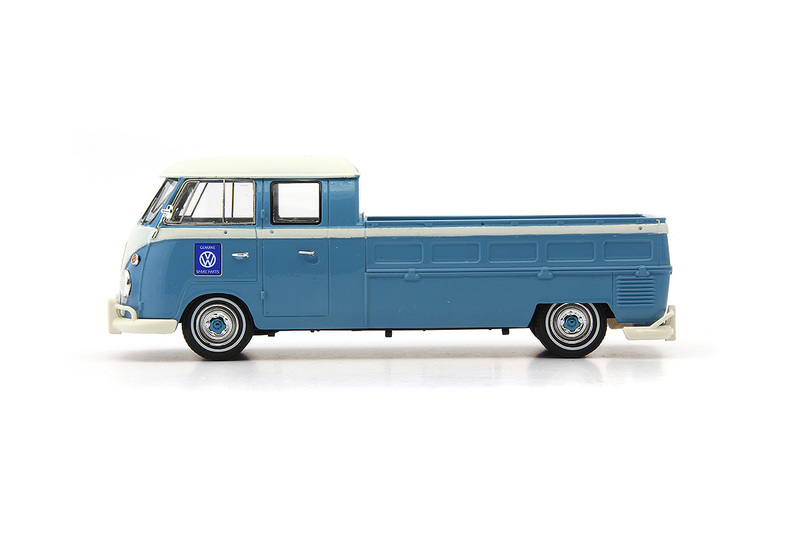 Auto Cult are distributing a new series of resin models – Avenue 43 – made in China for Germany to 1:43 scale. 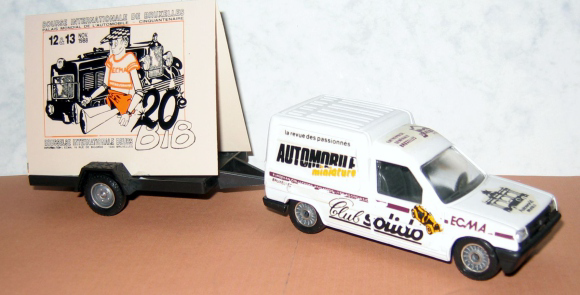 The owners of the new range have appointed Auto Cult as distributors as their models are made to similar standards and the subjects are complementary to the Auto Cult range. Here are the first three releases are shown below. Kurt Sauter built this car for Heini Walter. 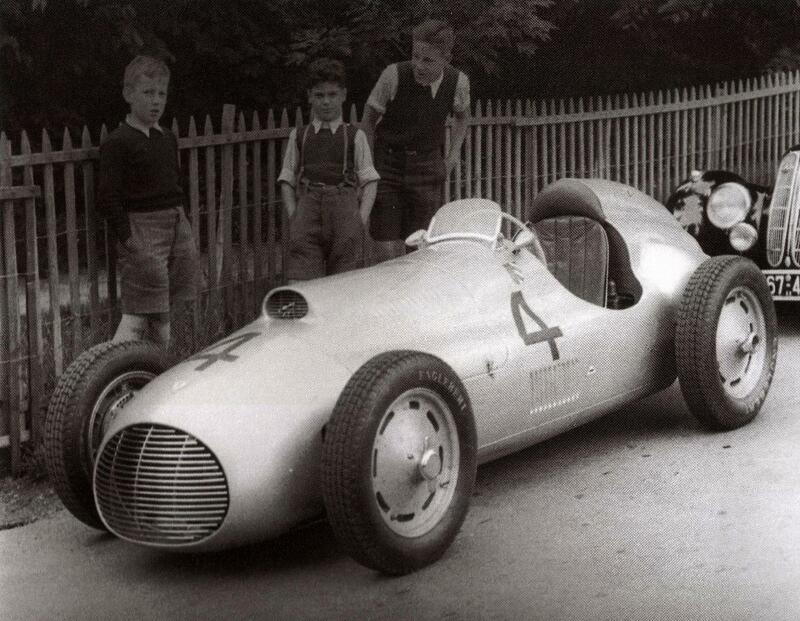 Powered by a 1500cc engine it was built with a fibreglass body and took part in a slalom race at Dübendorf in May 1956 , followed by other races including the Avus. Crashed later and rebuilt the car still exists. 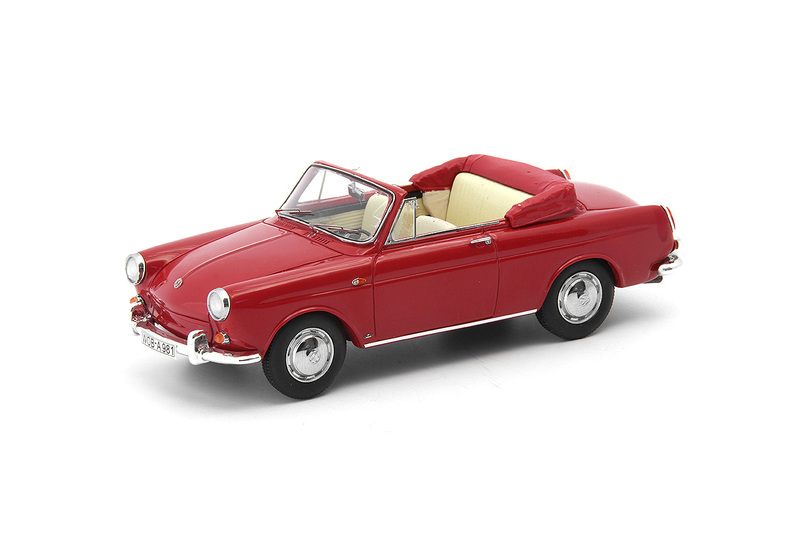 12 prototypes of this cabriolet were said to have been made and some copies of Volkswagen advertising material for the car are also to be seen on the Internet. But pretty as it was this car was it was never put into production. 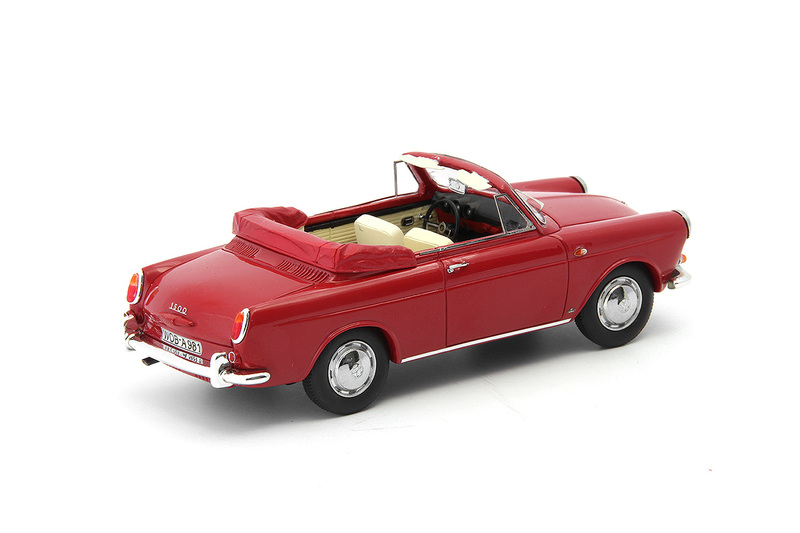 Perhaps Volkswagen feared that this car would limit sales of the Karmann Ghia based on the same platform? 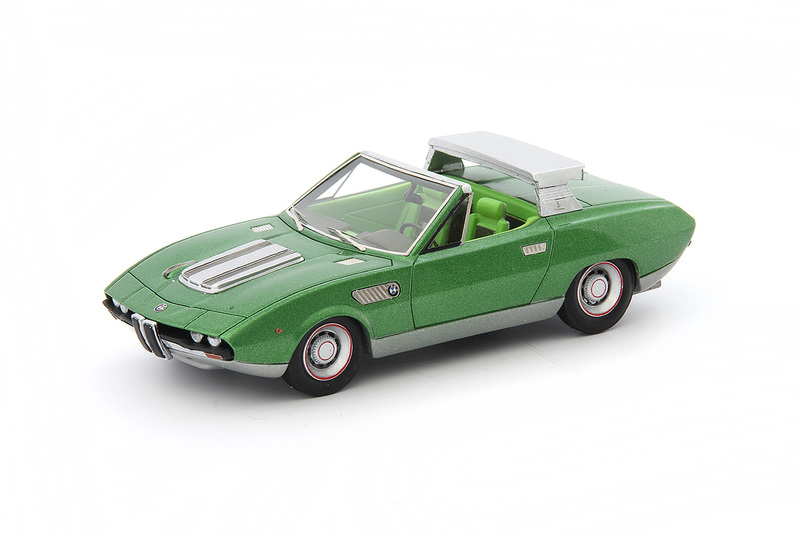 This concept car was shown in 1969 and was based upon design work by Marcello Gandini of Bertone. 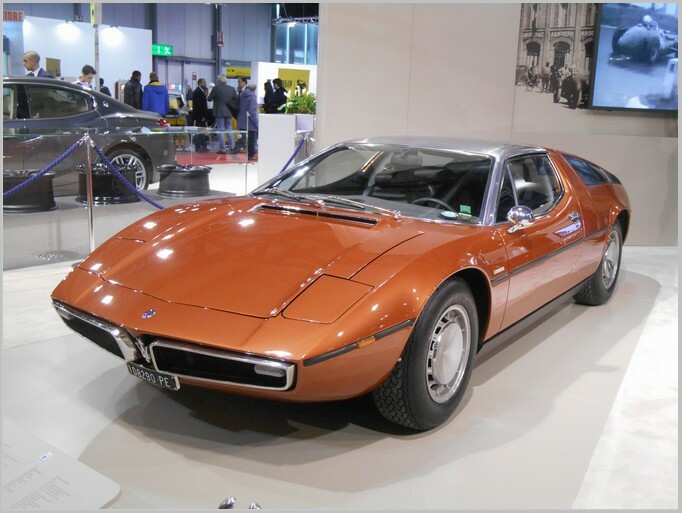 It was never developed into a BMW car but many of the styling features, particularly the cowled front end, were to be used again by Bertone for the Alfa Romeo Montreal. 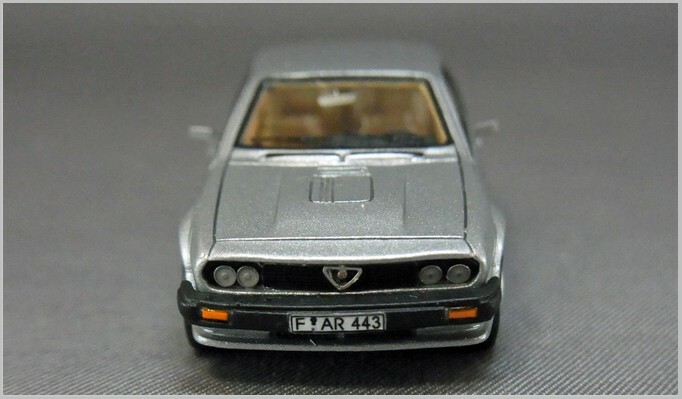 The roof style was also to re-appear later in a re-worked form on the Fiat X-19. 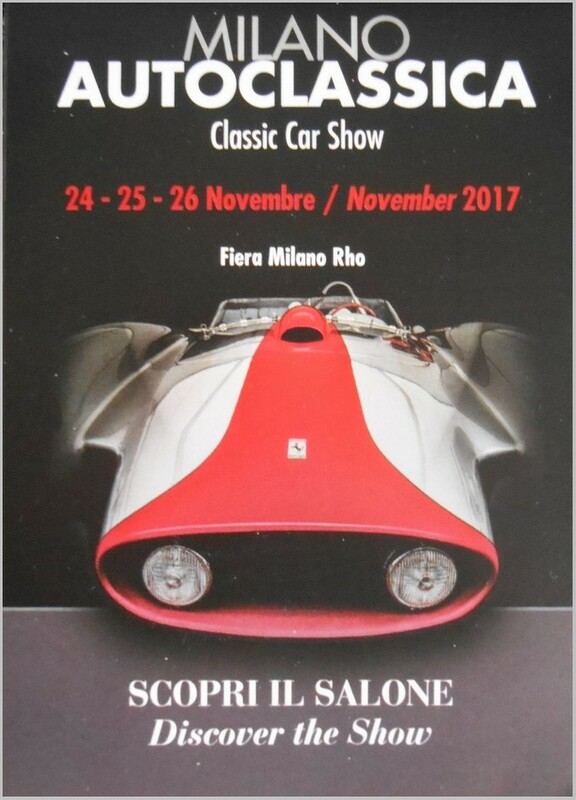 The show car was based upon a shortened BMW E3 floorpan fitted with a 2.8 litre engine which required the bonnet to have a specially raised areas fitted to clear the straight six engine. All photographs supplied by, and copyright of , Auto Cult. 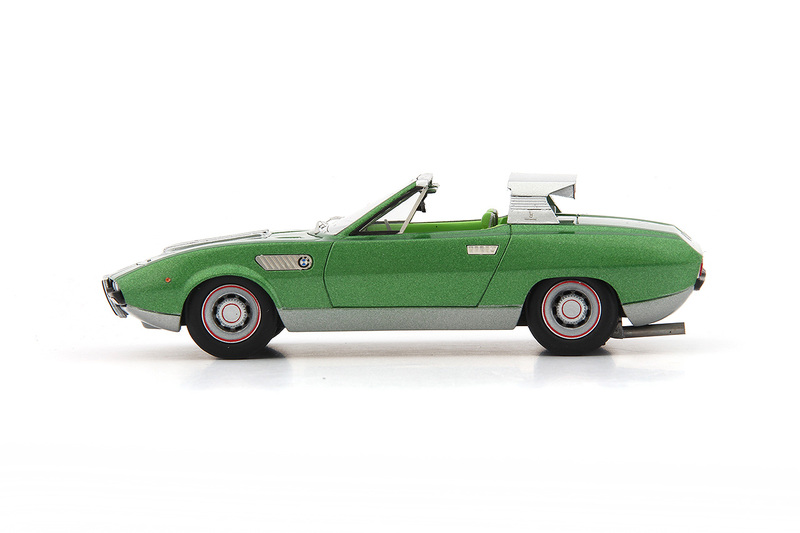 Another release from Autocult with a wide range of subjects. 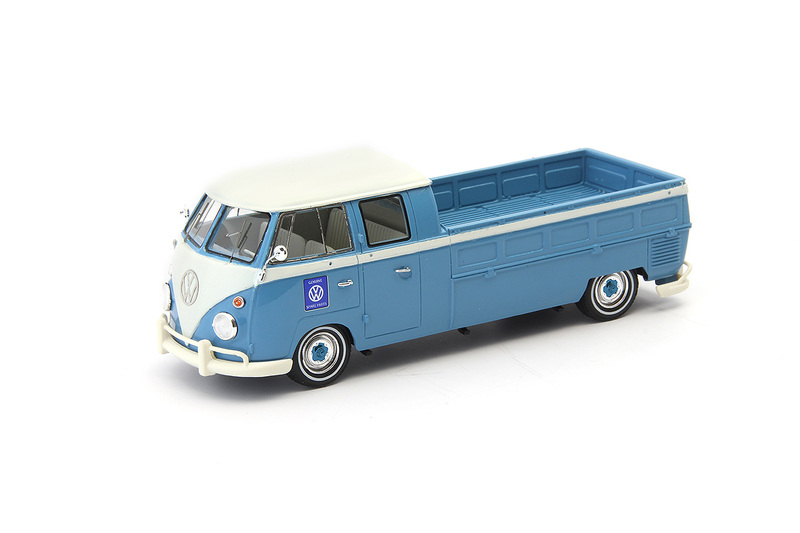 All are made in resin in China to 1:43 scale for Germany. Nicknamed “The Beast of Turin” this 28.35 Litre four cylinder Fiat was built to beat the records created by the “Blitzen-Benz”. The huge cylinders with three spark plugs produced 290hp and were mounted in a very basic chassis. Racing at Brooklands the car was timed at nearly 200KPH. Attempts on the Benx records failed as the speed could only be broken in one direction of the record attempt. 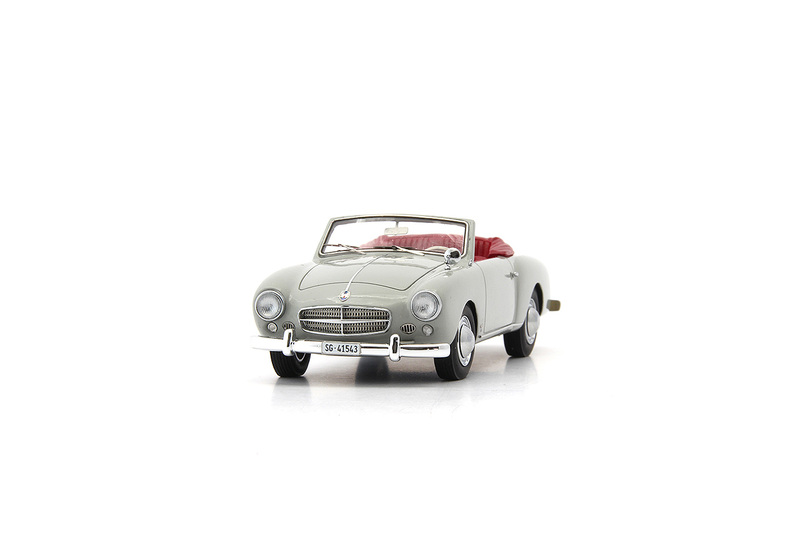 The Auto Cult model captures the car well with fine wire wheels and the chain drive nicely captured. 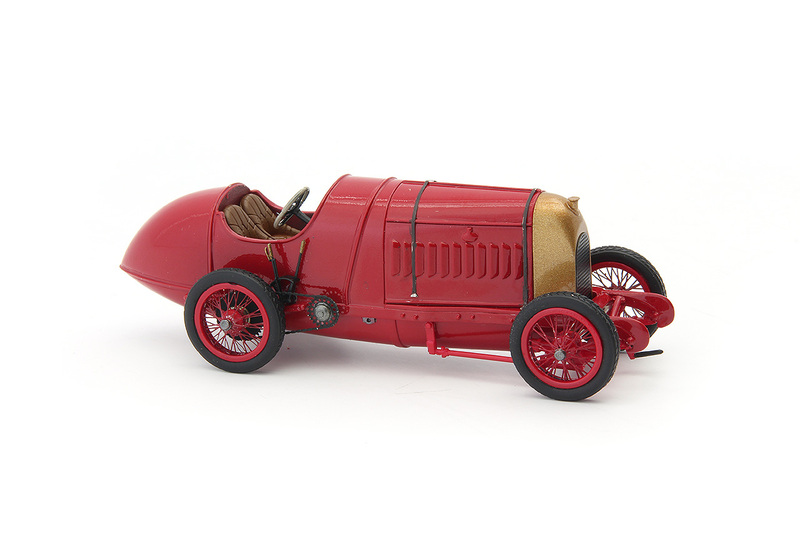 Swiss brothers Ernst and Fritz Beutler built attractive bodywork with Bentley’s amongst the chassis they clothed. 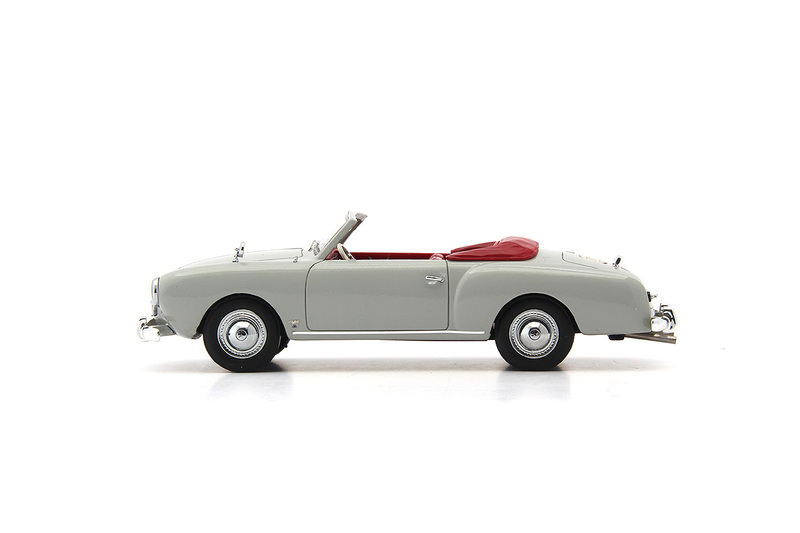 In 1948 Porsche cars were given attractive bodies. 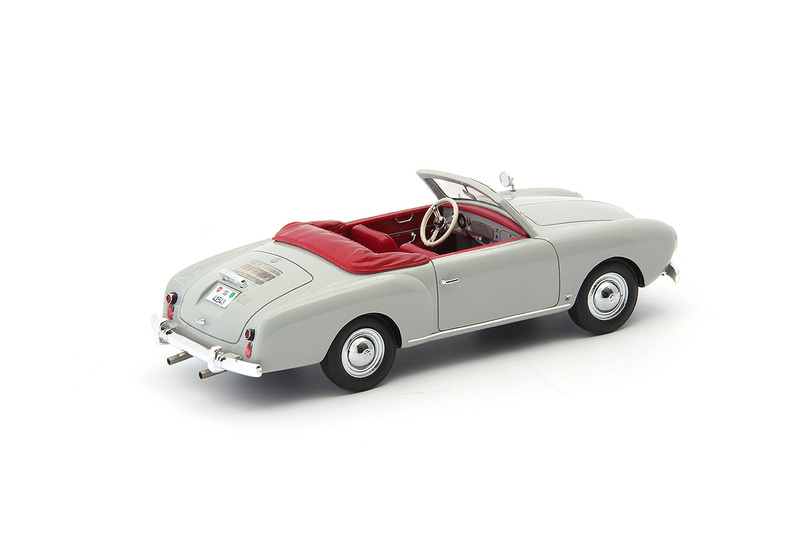 In the early 1950s they created an attractive Volkswagen Beetle based cabriolet with a supercharged and tuned engine. Attractive though it was Volkswagen did not take up the proposals as they were already working on a similar car with Karmann in Germany. 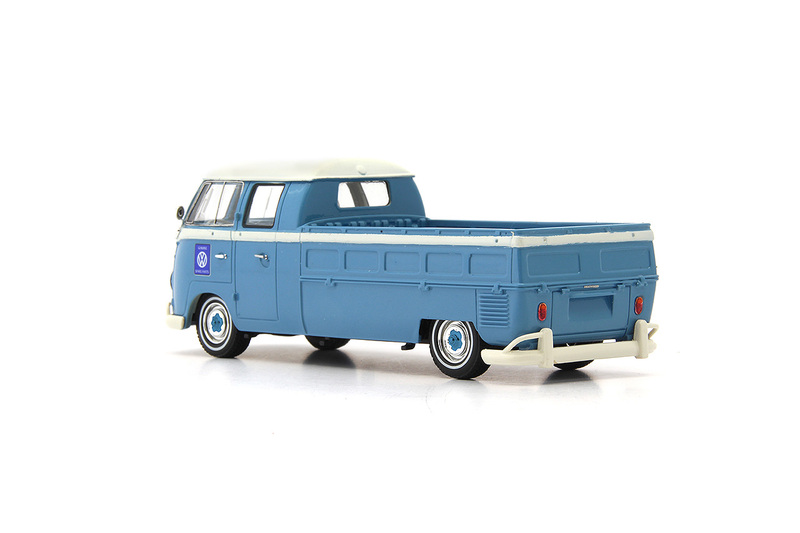 Hardly a racing car itself this long backed Volkswagen Transporter was built to carry Volkswagen racing cars as well as their mechanics. This vehicle will make a nice companion to the Ford Thames with long back for racing cars already made by Auto Cult. 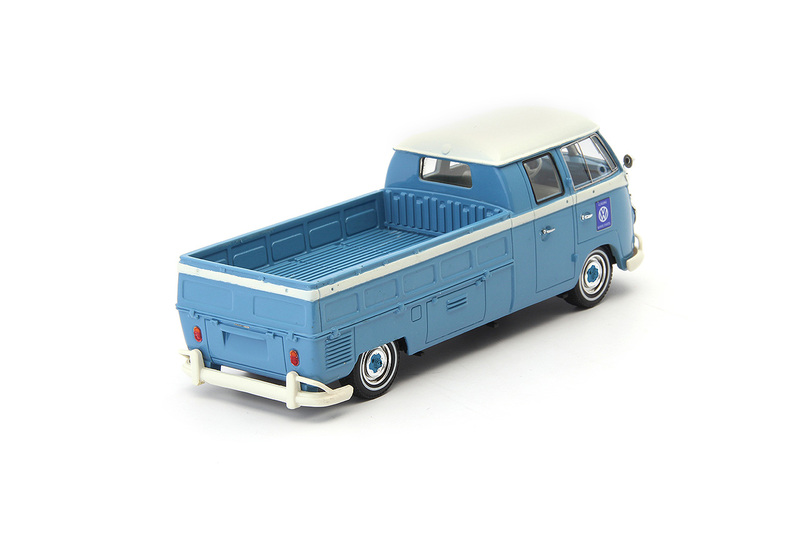 These “DoKa’s” as the double cab is known were popular across Europe and even in the United States. 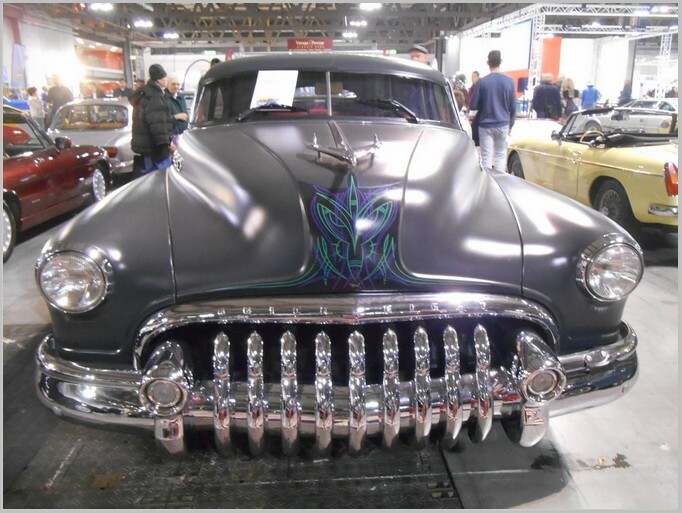 Designed by Brook Stevens famous for the Jeep Grand Cherokee Wagoneer and Harley Davidson FLH Hydra Glide. 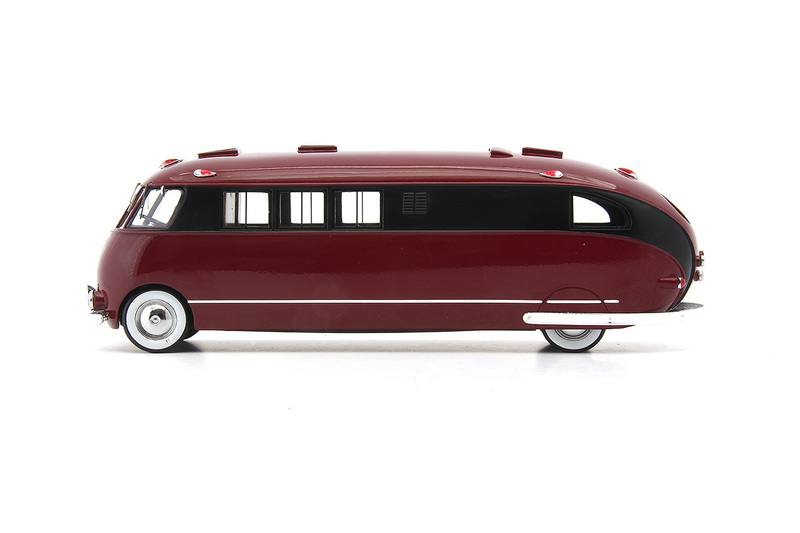 This vehicle was based upon a bus chassis and created for S.C.Johnson and Sons the famous US polish makers. 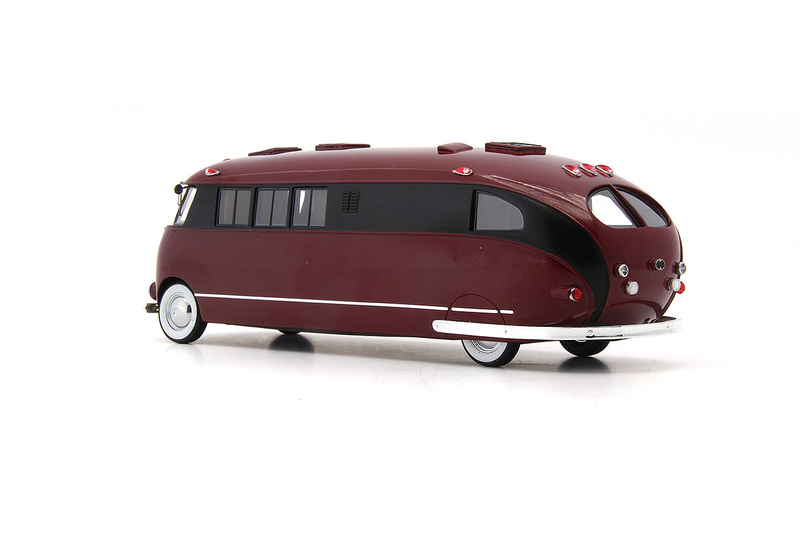 The big camper was presented at a fair in New York 1939. By the standards of the time the interior was markedly luxurious. The facilities included running water, a separate bathroom, a gas powered refrigerator and a foldout desk. Even a small laboratory was on-board. The boss of S.C. Johnson & Son, Inc., Herbert F. Johnson, planned to use the motorhome in Brazil, where his company was in search of carnauba palms. From the leaves of the carnauba palm they obtained the so-called carnauba wax, which was used as a versatile lubricant. 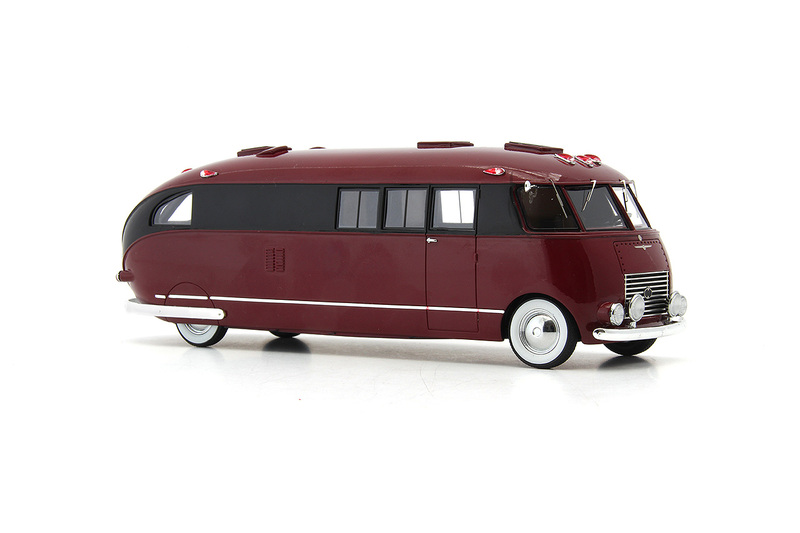 However the search was abandoned in 1940 and the vehicle returned home to Wisconsin. 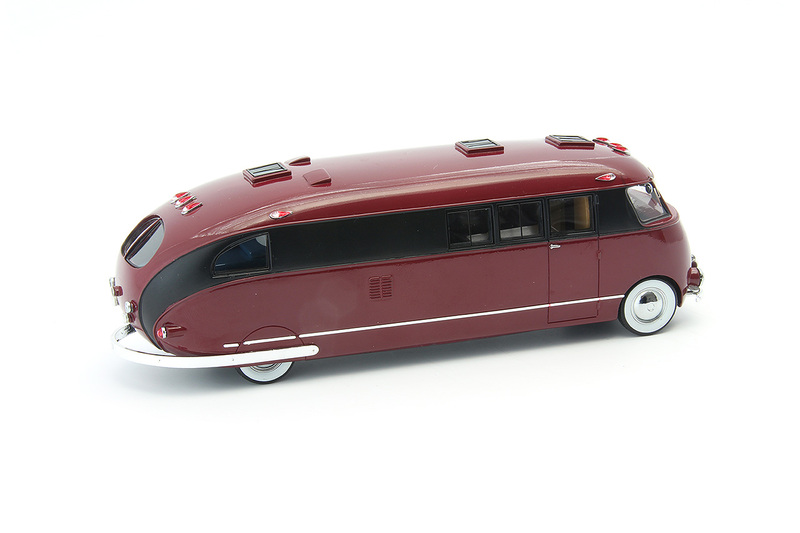 When the USA entered the Second World War the motorhome got a ‘second life’ and served as a mobile recruiting office for soldiers in the state Wisconsin. Later it was used as a mobile blood donation centre, before it vanished without a trace. Editor: From time to time we have articles with pictures from Motor Shows to inspire our appreciation of the cars our models are based on. 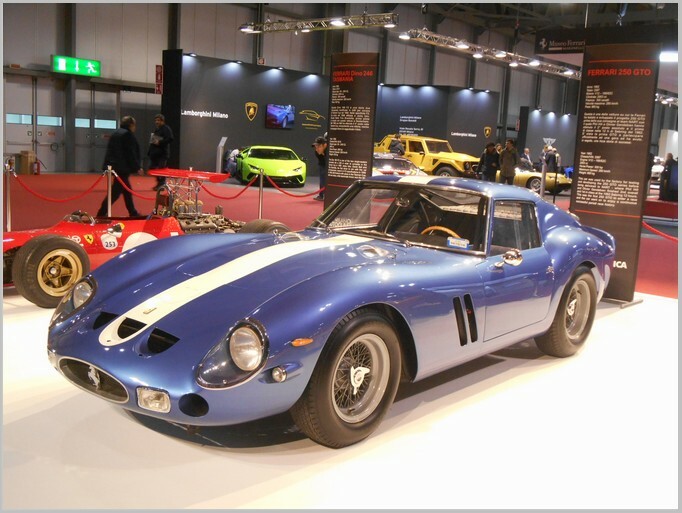 Our regular writer Fabrizio visited the Autoclassica 2017 Car Show in Milan earlier this month and has shared some of the photographs he took. This is a prestigious event occupying several halls of a large exhibition centre. 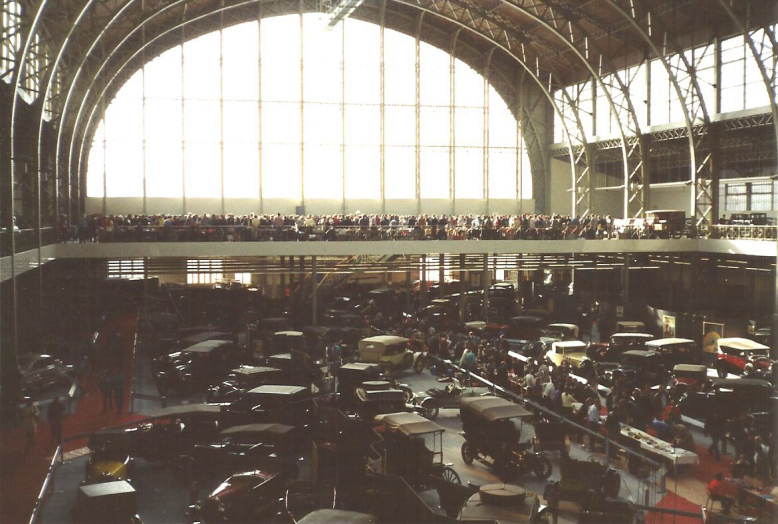 Some of the cars pictured have been modelled whilst others should be considered by manufacturers for future production. 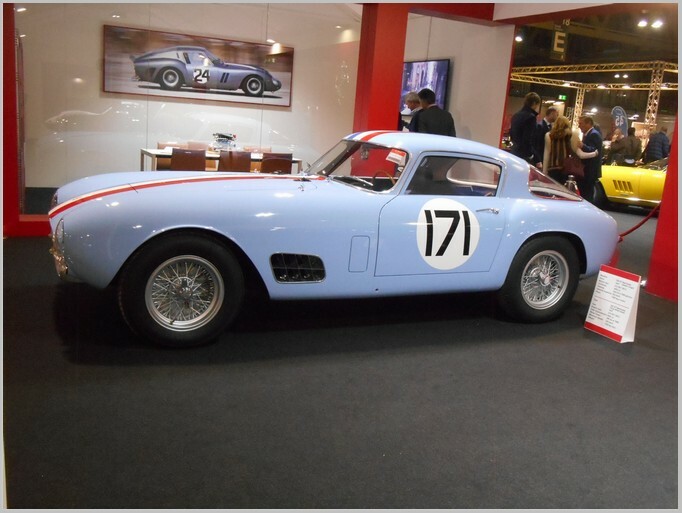 The Autoclassica 2017 seemed to be a smaller show than usual with more car dealers than clubs in evidence. 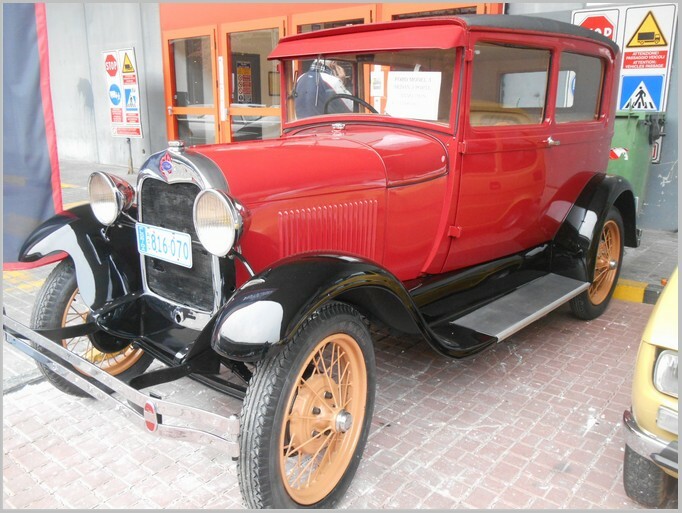 The pictures below show some of the interesting cars on display. 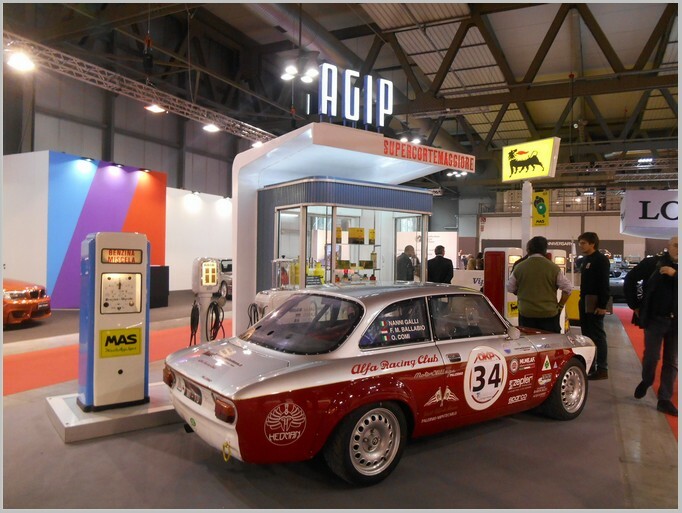 One of the set piece displays matching a nice race prepared Alfa Romeo with period AGIP Petrol displays. 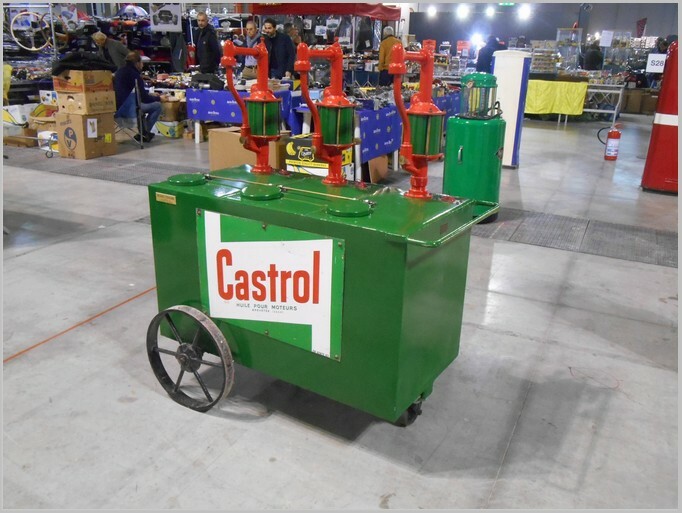 A nice display of an oil dispenser from the earlier days of motoring. More transport ephemera. 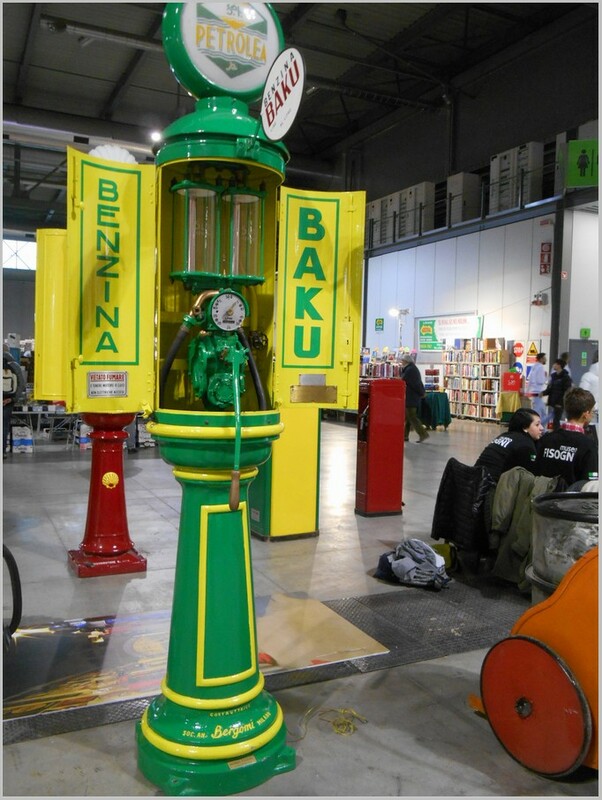 A nicely restored petrol pump from the vintage car era. Classic car beautifully prepared for the show. 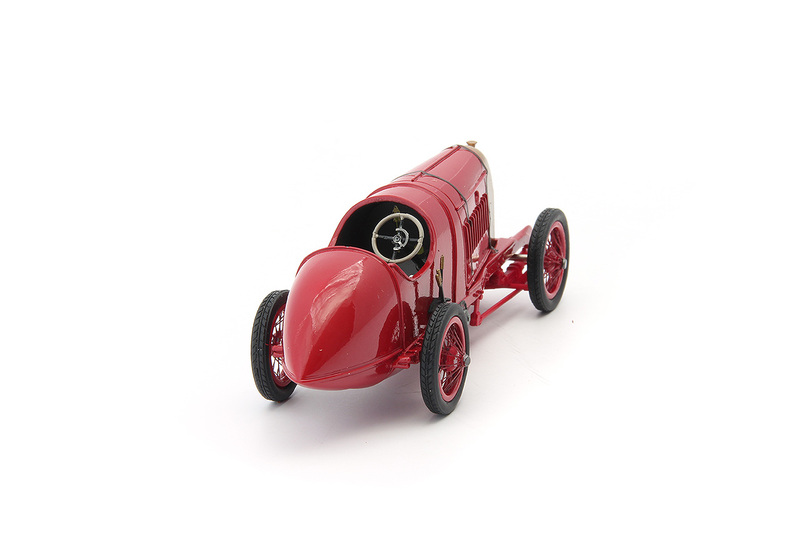 A beautiful example of one of the most desirable Ferrari models. Another extremely scarce and expensive Ferrari. 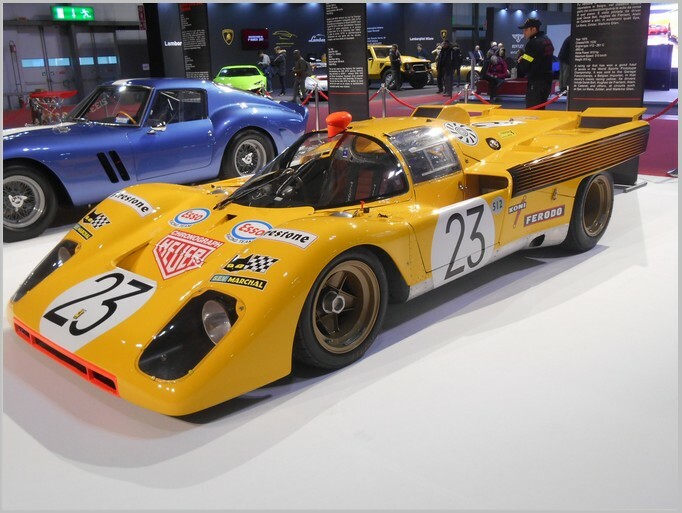 The 512M was developed from the 512S and was used in Endurance racing in the early 1970s. 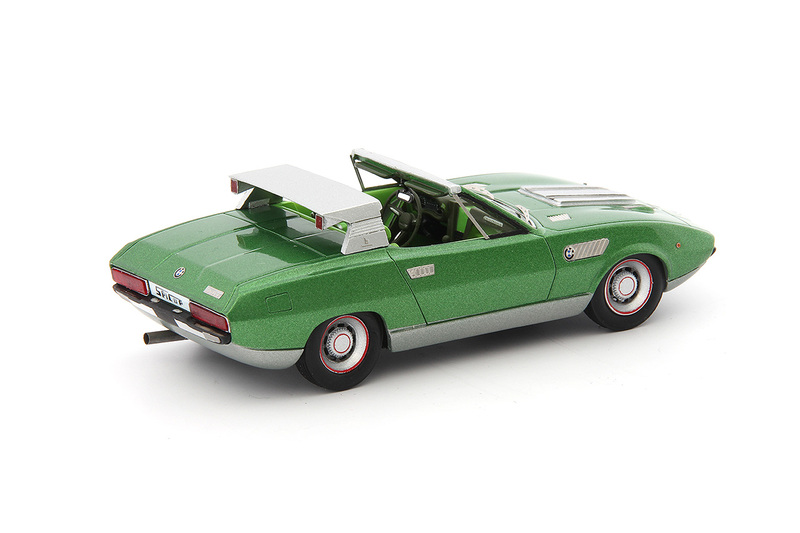 Several found their way to the US for use in NART races and one famously ended up in Steve McQueen’s film Le Mans. 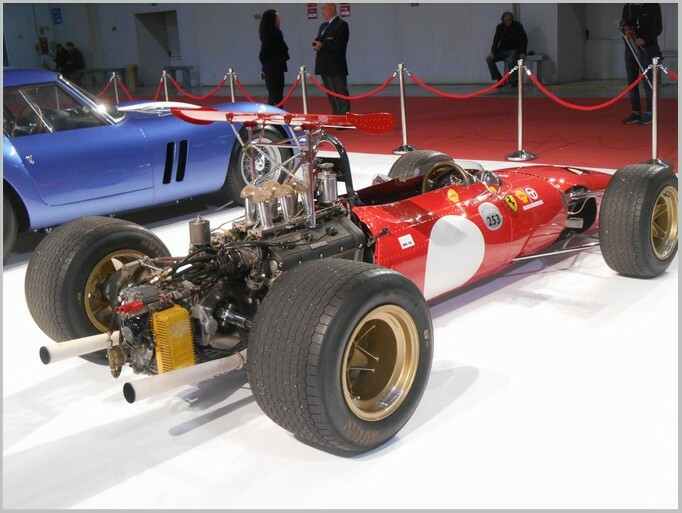 This V6 engined racing car was developed by Ferrari for racing at a time when most of the teams effort was being put into V12 cars. It was aimed at Formula Tasman which was a big draw in Australia and New Zealand at that time. 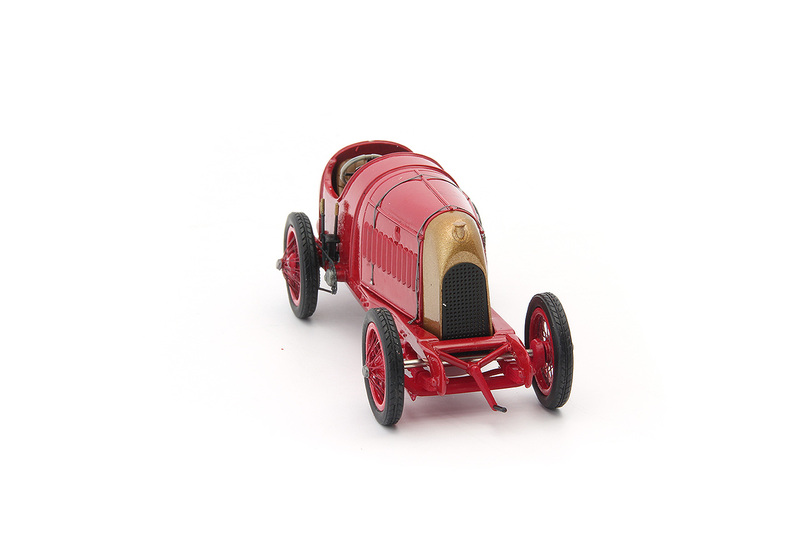 The Fiat 501 was made between 1919 and 1926. 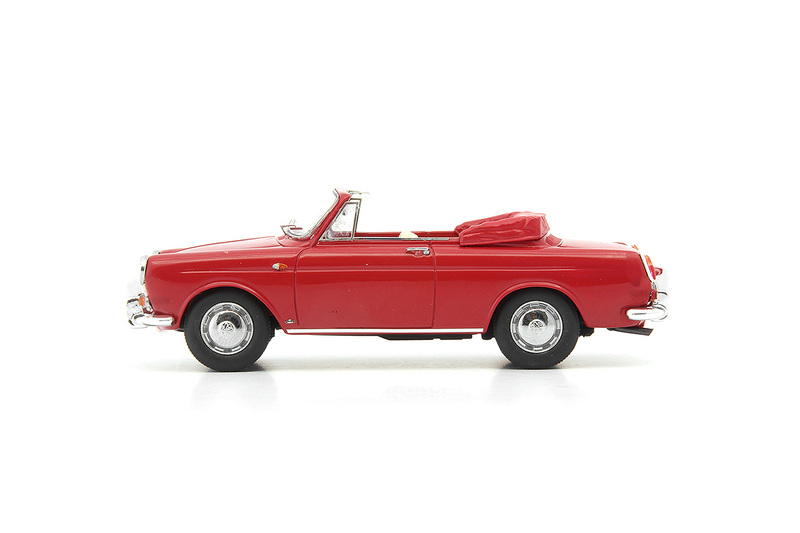 The 501 was Fiat’s first model after World War and nearly 50,000 were made in several body styles. 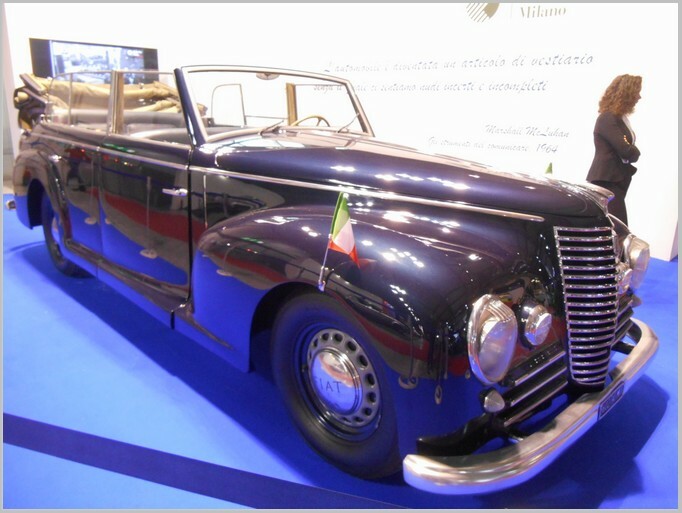 This open car was derived from the pre-war cars widely used by the Italian State. 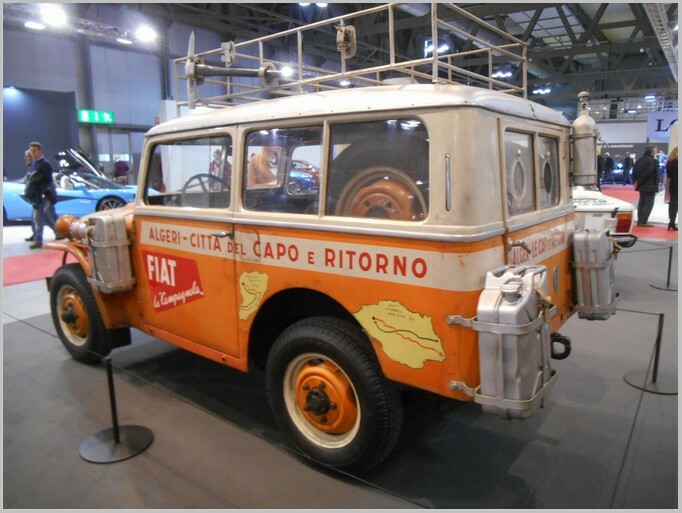 In 1951 Fiat’s management decided to beat the speed record of Africa’s crossing from Cape Town to Algiers with a Campagnola AR 51. The journey was completed in 11 days, 4 hours and 54 minutes. Made with a keen eye on the US export market owners included 8B owners included the Aga Khan III, William Randolph Hearst, Rudolph Valentino and Pope Pius XI. Few now exist. Based upon earlier military vehicles the LM002 was made between 1986 and 1993. 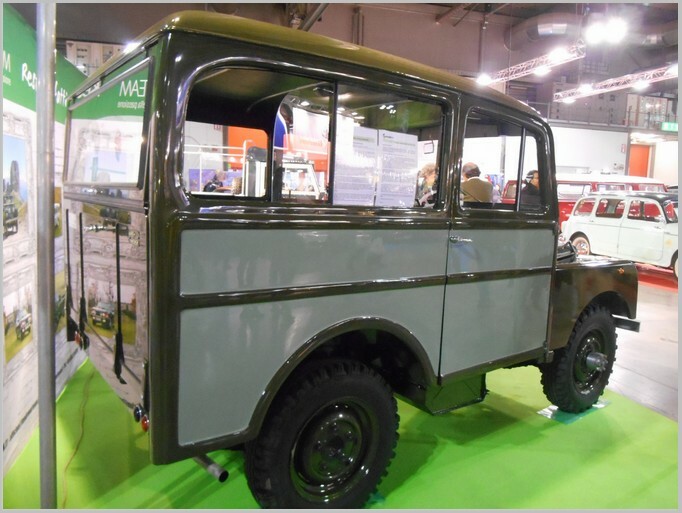 Rover developed a seven-seater Station Wagon variant of the Land Rover in October 1948 based on the 80-inch chassis and powered by a 1,595cc petrol engine. 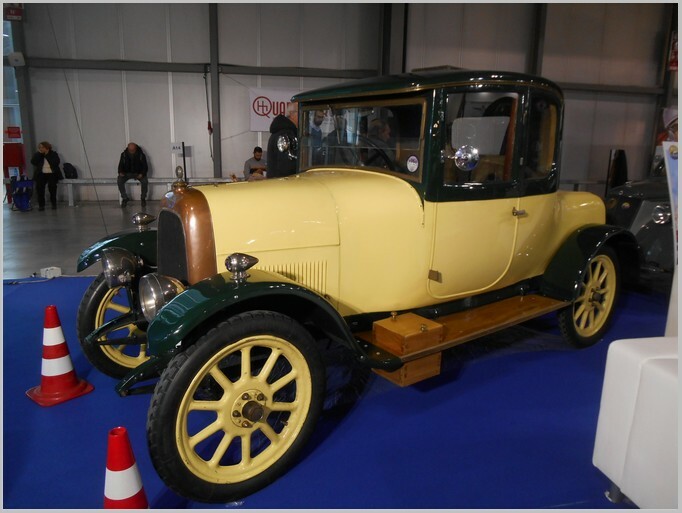 This had a body made by Tickford of Newport Pagnell, constructed in the traditional way with alloy panelling over a wooden frame. Due to the cost of the vehicle it sold in very small numbers. 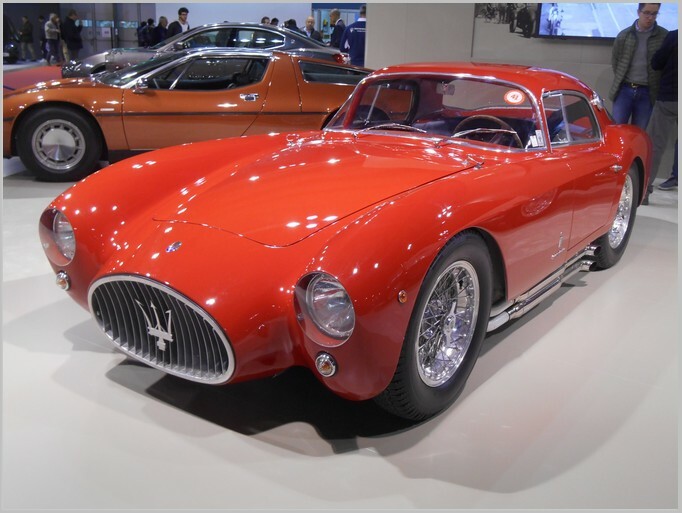 The A6 was made between 1947 and 1956 and carried coachwork from the major Italian stylists of the time. This classic shape from Pininfarina being one of the prettiest. 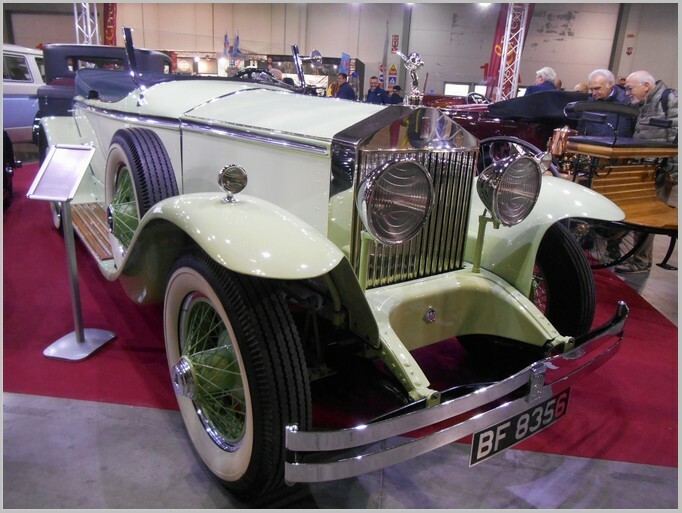 Fitted with a two litre straight six engine it was fast as well as beautiful. Produced from 1971 to 1978 the Bora was fitted with a V8 engine and had a top speed of over 170 MPH. 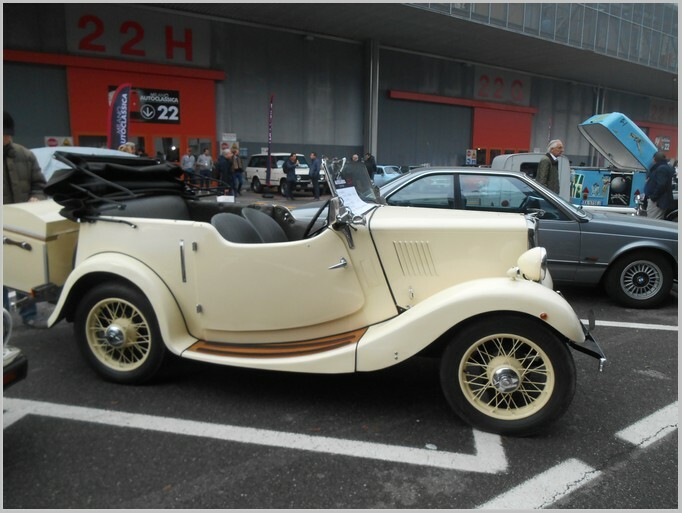 A classic car and looks good in the very period paint colour. Proof that badge engineering started long before BMC was formed. A small MG saloon was formed by using the underpinnings of the Morris 8. Nicely fitted inside the car struggled with a small engine. Belgian car maker Minerva found itself in dire straights after the Second World War. 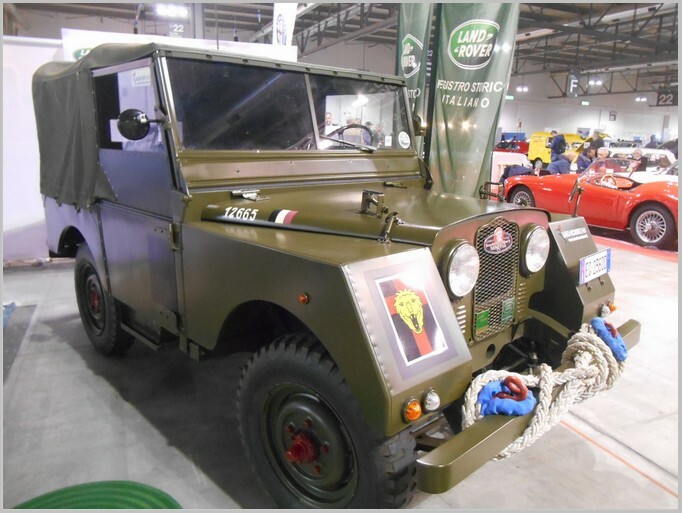 Unable to design and build their own vehicle for military contracts they approached Rover and made Land Rovers fro the Belgian forces from kits of parts under licence arrangements until 1958. 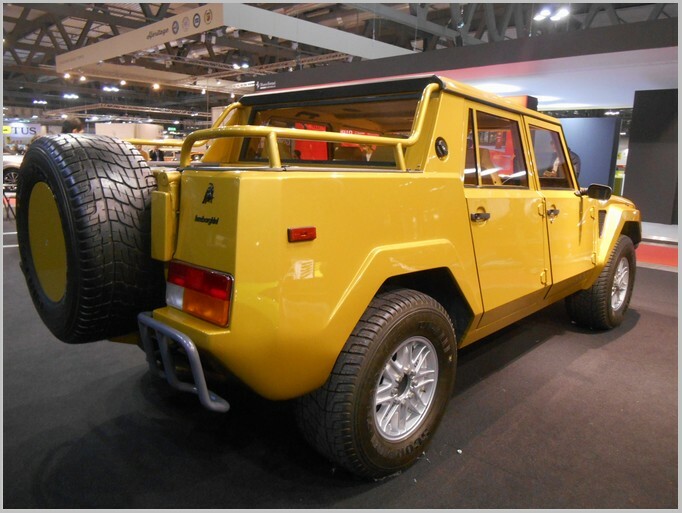 Here the front wings seem to differ from the UK Land Rover’s – I wonder if this has been modelled? Quite a pretty car in this form this was quite a basic vehicle aimed at the mass market opening up for family cars in this inter-war period. Fitted with a engine of 918cc performance was limited but it was well equipped and aimed at people who wanted something a little bit better than the well established Austin 7. 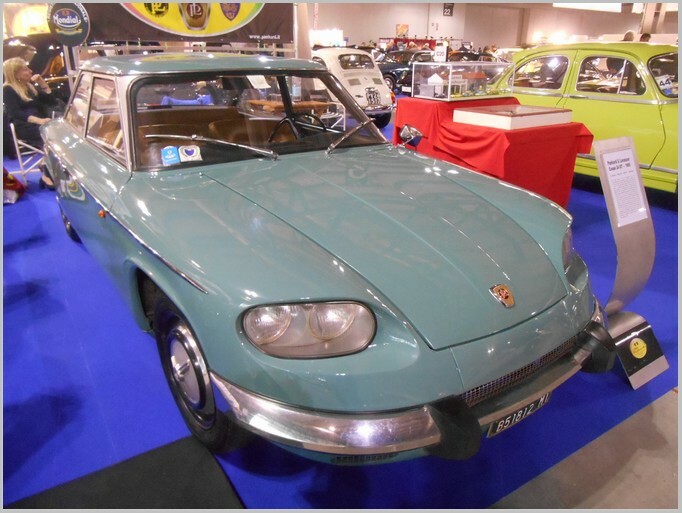 The final Panhard car produced as in 1967 Citroen ceased to produce Panhard cars. Powered by a boxer engine driving the front wheels its light body allowed quite a modest engine to produce very sporty performance. 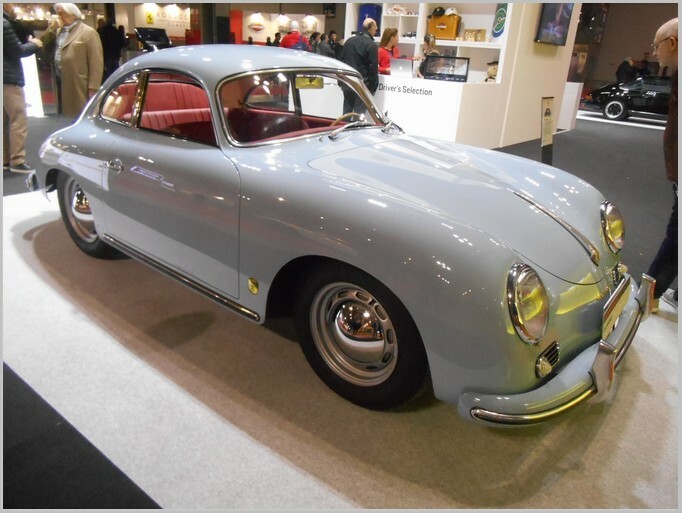 Classic 356A Coupe as modelled by many firms. A lovely example on show here. 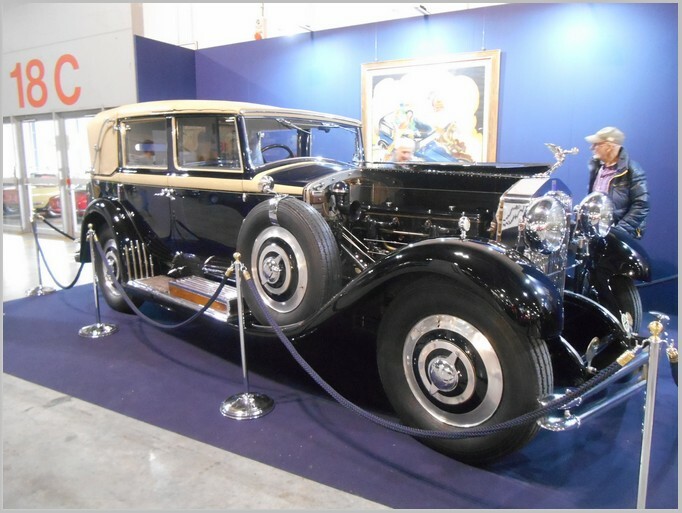 Rolls Royce had their own factory in Springfield Massachusetts from 1921 to 1931. 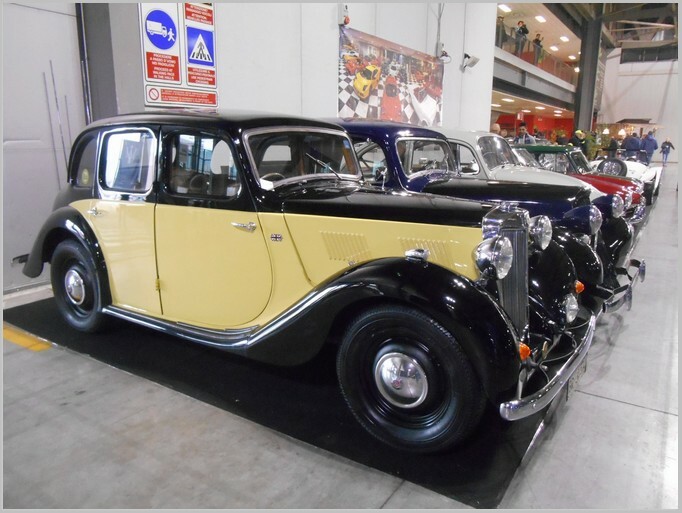 These were then bodied by US Coachbuilders often featuring white wall tyres and more flamboyant styling than many UK Rolls Royces. This car is one of the later US produced vehicles. 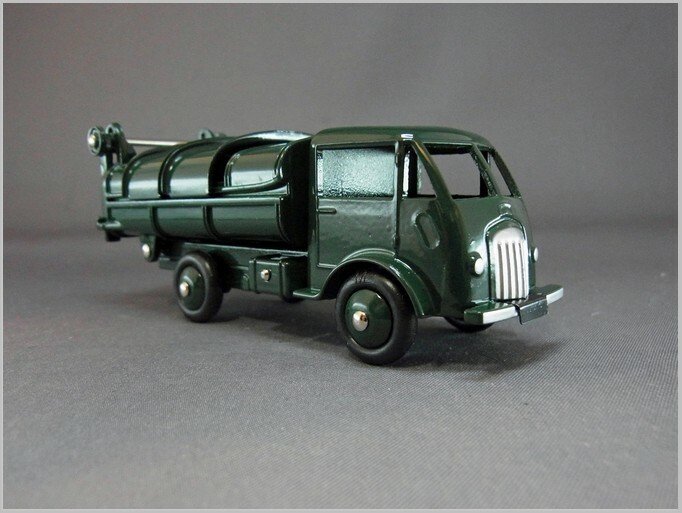 Coverage of the Atlas Dinky Collection here at MAR Online has spanned almost all of the time that MAR has been online. I recently checked the status of the collection as I was expecting another model, based upon my understanding of a reply from Atlas Customer Services, but it is not to be the case. 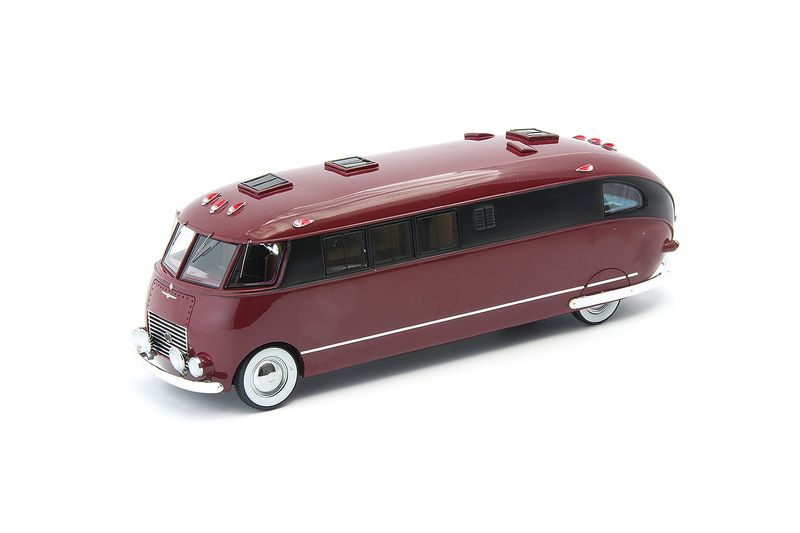 The Atlas computer system has now marked the collection as completed and the last item shipped was the French Dinky Peugeot Taxi 24 L recently reviewed in MAR Online. 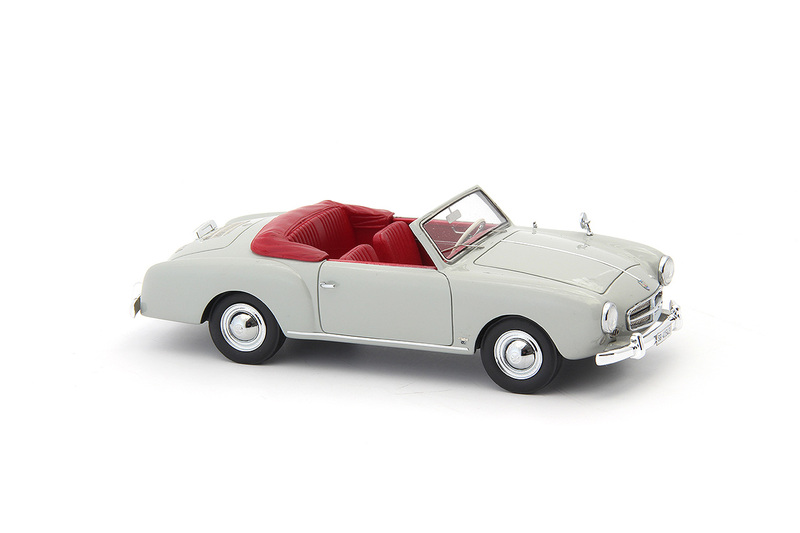 If readers hear of any models being released after the Peugeot taxi in the original Dinky Collection please let me know what they are. 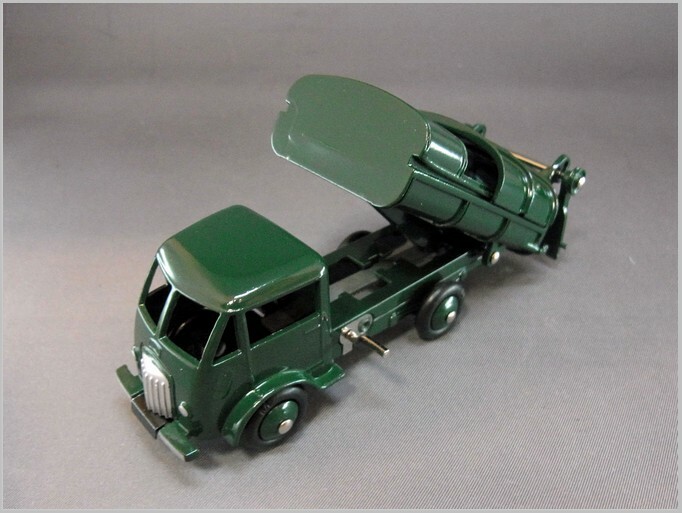 The latest model in the Atlas Dinky Trucks series is again a replica of a French Dinky model. 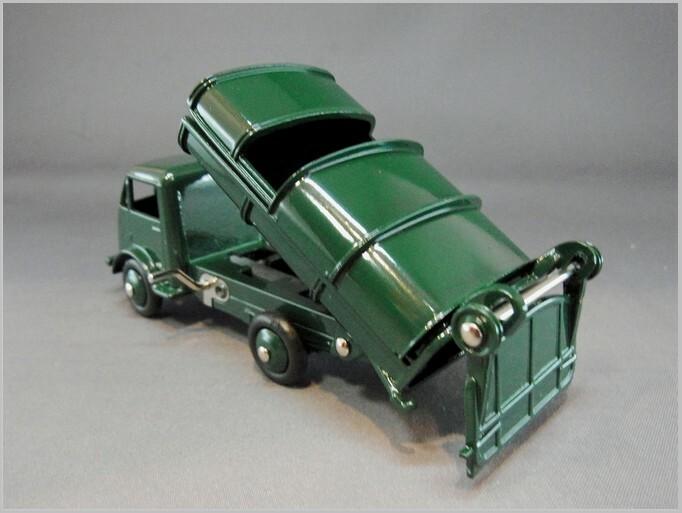 25 V Ford Benne à Ordures, a tipping refuse truck with sliding covers. 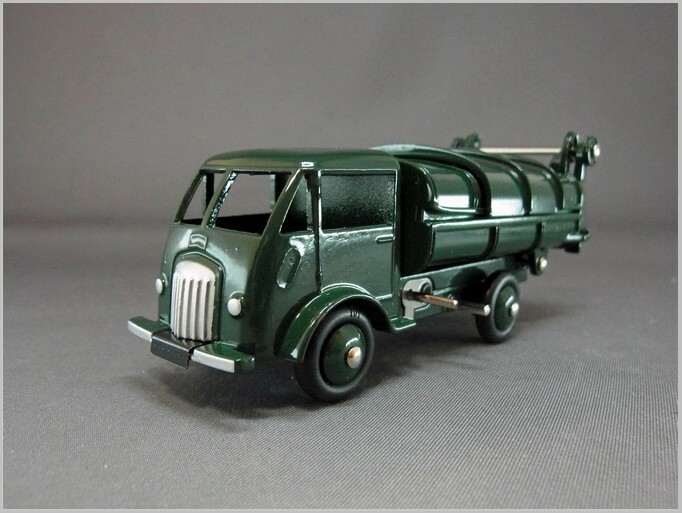 This particular model was made between 1950 and 1955 and uses a Ford cab and chassis already used for a flatbed, a drop-side, a tanker, a stake truck and a tipper. The dropside was later to gain a towing fitment to become a service vehicle. 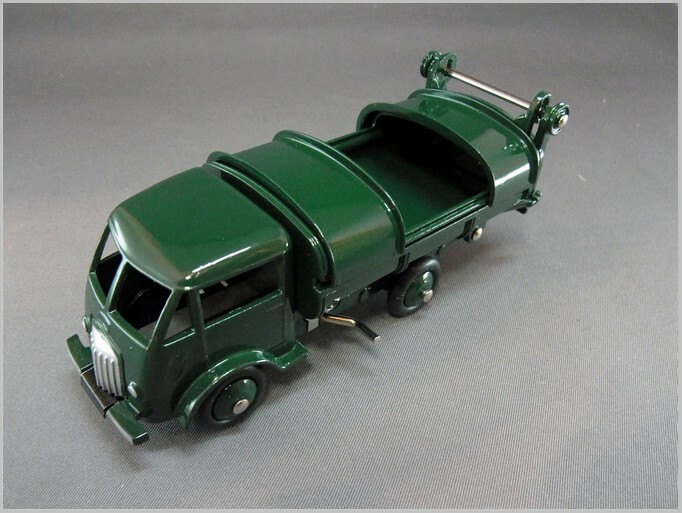 The refuse truck offered lots of play value with the ability to slide two covers on the top, op things in the truck and then tip them out later using the handle to operate the cogged tipper mechanism at which point the rear door would open to allow the “refuse” to fall out. Here in the UK we would be playing with Dinky 252 Refuse truck with its spiral gear to raise the rear section to tip the rubbish out. 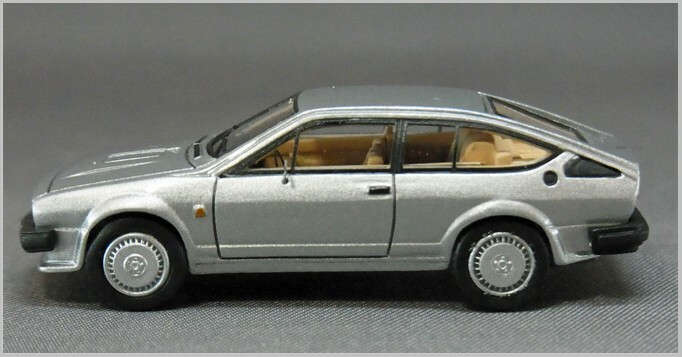 The Atlas model is nicely made with a much glossier finish than original would have had even on first release. The tipping mechanism works as well as I expect the original did. The rear door is a tight fit over the lugs cast in to stop it flapping when closed and the sliding covers can pop off if pulled too far back. Maybe a reader can tell me whether these issues also afflict the original? According to Atlas Customer Services this collection is also close to finishing which is adding to the nervousness of those who have yet to receive their Regent Tanker. Quite a number of collectors have told me that they are still waiting for it so I hope that Atlas are getting another batch made for them. 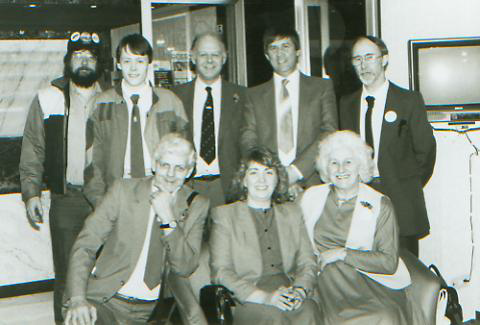 If members of other clubs would like to share their reminiscences of joint club events MAR Online will be happy to hear from you. If you think this is about going out night clubing then you are reading the wrong item. No it’s about the camaraderie among at least some model collecting clubs. 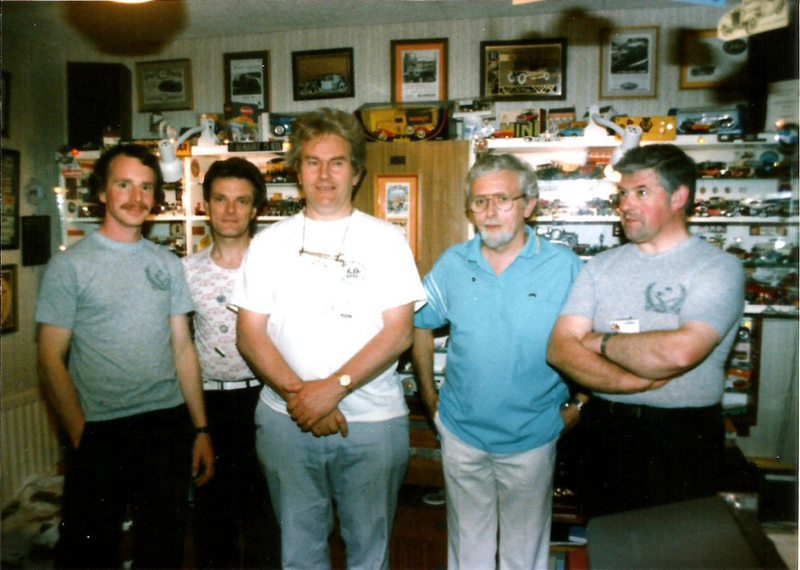 I’m writing this from the viewpoint of being Coventry Diecast Model Club’s (CDMC) magazine (Wheelspin) editor, a position I’ve had on and off for many occasions now, the first going back to the 1970’s. 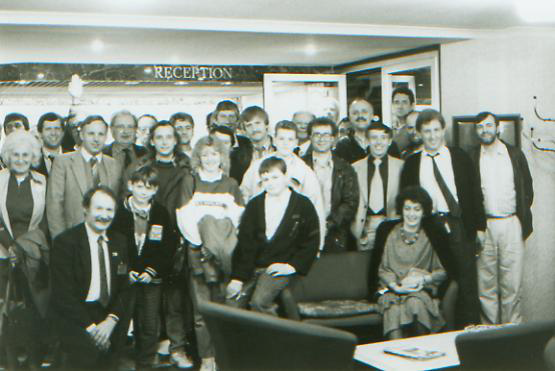 Even back then, when I first took the reins, our club was linked to the West Australian Model Collectors Club, based in Perth. via their club magazine (Showcase). Via it’s editor, the late Mike Silk, we exchanged copies of our respective club magazines, something still done to this day, only in this day of modern technology it’s done as pdf file by email. 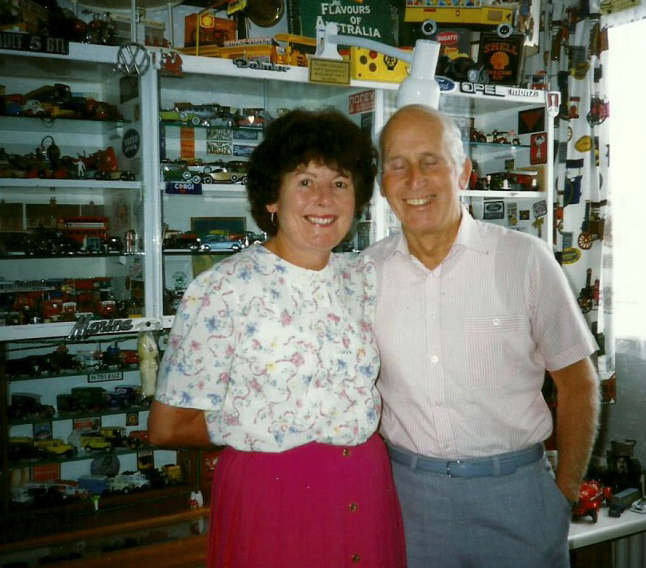 stayed with us on several occasions over the years while visiting relatives in the UK. Sadly, Bill passed away earlier this year and I shall miss our adventures, having taken him on visits to the Coventry Transport Museum, a CDMC meeting and even on the Rolls-Royce Centenary celebrations at Donington Park ( I worked for Rolls-Royce Aero Engines before my retirement) in good times past. Another WAMCC member to pay me a visit was Max Doust, long serving treasurer to the Oz club. Sadly, like Bill, Max passed away this year but this isn’t about sadness, it’s about the continuity of club relations. CDMC is still linked to WAMCC via our respective magazine exchanges with the current editor, John Boden, and we keep in touch on a regular basis by email. 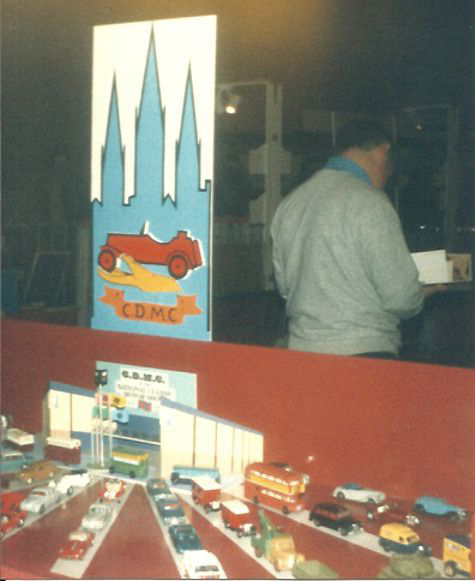 past SHMAC and CDMC have put on displays at the Classic and Sports Car show at the Birmingham NEC, something that SHMAC have done on many occasions with excellent displays of members models, often in diorama form. On another occasion both clubs put on displays at Stoneleigh in the days of Ray Strutt’s ModeleX shows. magazine. 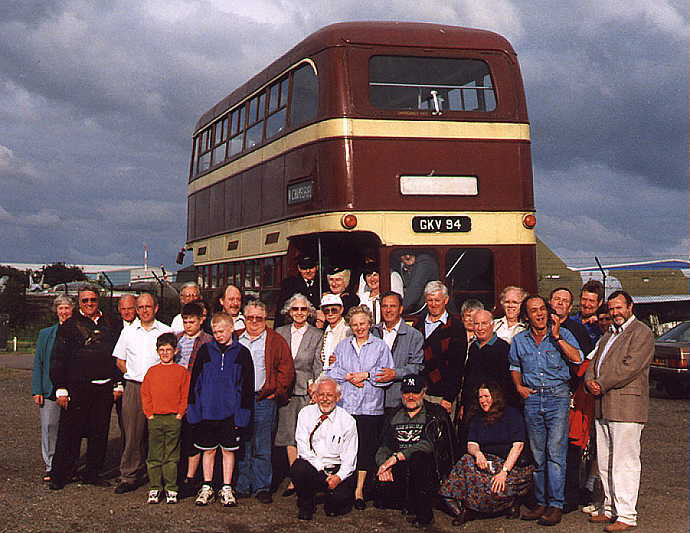 On one occasion, I had the honour of a visit from SHMACC members at my home when they visited my humble ‘Mini-Mobileum’ when they were in this area for one of the shows. 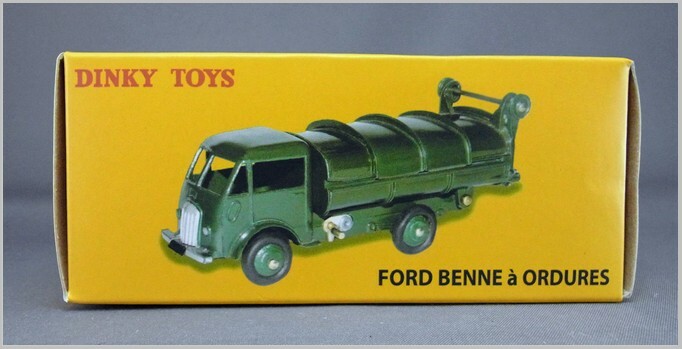 MSMC’s Windsor Swapmeet and also to visit the London Toy Museum. A special treat for members on that occasion as they travelled on Harry Shaw’s brand new double decker coach. 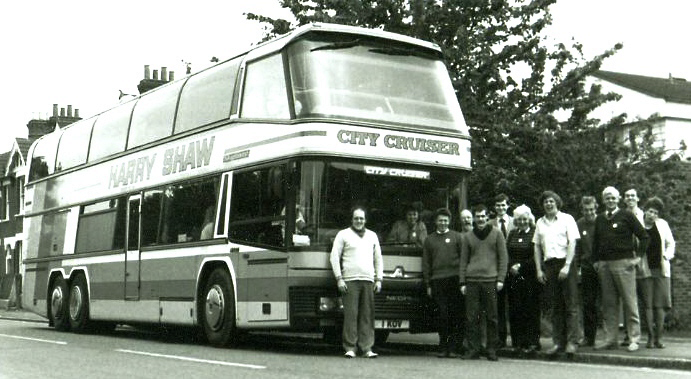 CDMC members proudly wait to board Coventry coach operator Harry Shaw’s latest flagship doubledeck coach which bore a ‘1 COV’ number plate. Brussels. A big contingent of CDMC and members of their family joined the coach trip, staying at the same hotel. Cars, Coventry, a trip arranged by the Coventry club. closed! Along for the ride were veteran CDMC members, husband and wife Jim and Maurine Bailey, who once worked on the Coventry buses and on this occasion, wore their uniforms. 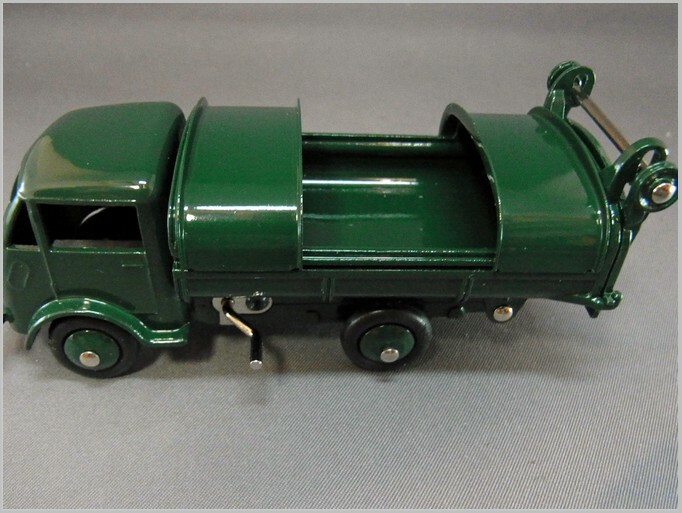 One of the other clubs that we have a connection with and swap Club newsletters with is Wessex Model and Toy Collectors Club. 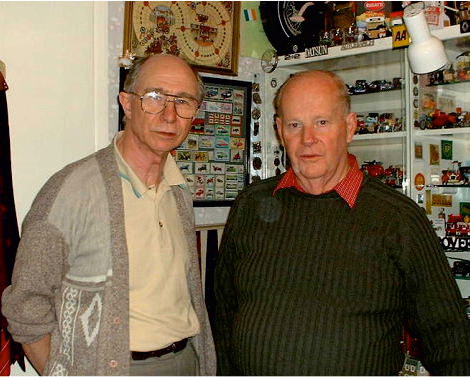 Other clubs that we have been in contact with now and then are Sydney Model Auto Club and Ulster Diecast Model Toy Club. If I’ve missed other clubs and occasions over this long period of time hopefully it will jog the memories of others and with a bit of luck they will come forward with their own experiences. To me contact with other clubs is interesting, rewarding and well worth fostering and I’d like to think that it is the same for other clubs too. Mario Monti is the owner of Emmy models based in Switzerland. This article is adapted from his press release for the model. Mario is a long time friend of MAR who often donated models for MAR competitions. In 1950 Alex von Falkenhausen from Munich presented his new creation: the AFM type 50. 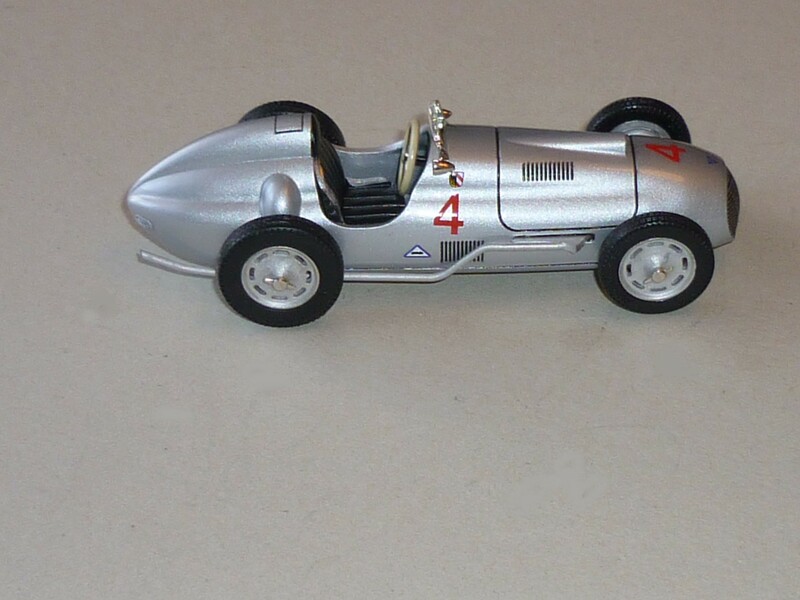 This Formula Two single seater was based on the type 49 which had been quite successful in races in Germany (don’t forget, Germans were not allowed to participate in international events during the immediate post-war years). 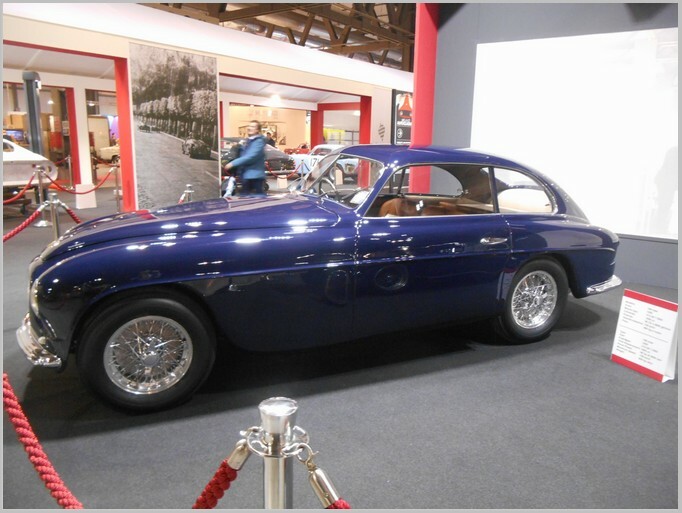 The type 50 carried on several remarkable features of it’s predecessor, like the spur gear ahead of the differential on the rear axle, which allowed the drive train to be placed lower than usual as well as to allow changing transmission ratio very quickly. The dual circuit brakes made it possible to adjust the degree of braking between front and rear wheels. The lightweight rims with built-in brake drums were another remarkable feature (a bit like pre-war Bugatti-wheels). 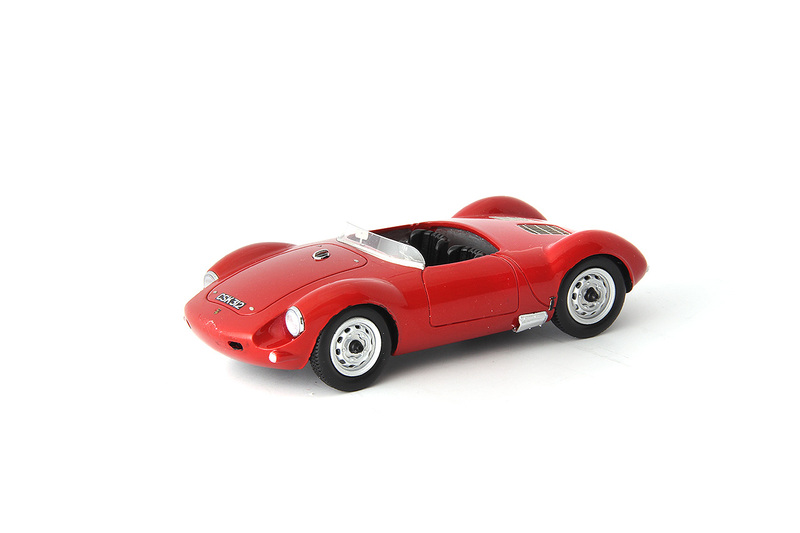 From the beginning the car was designed to be powered either by the improved BMW 328 engine or the new V8 by Küchen. 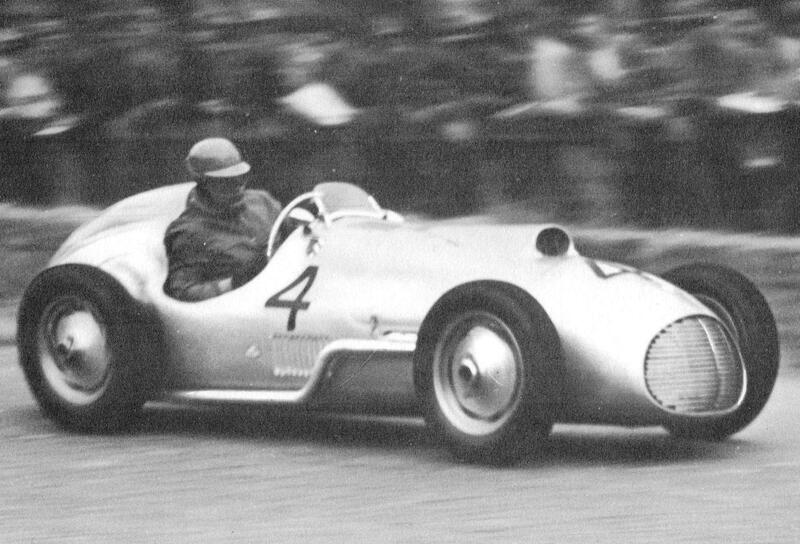 Rudolf Schleicher supplied the mechanical parts, cast parts came from BMW and the body was made by Willy Huber. 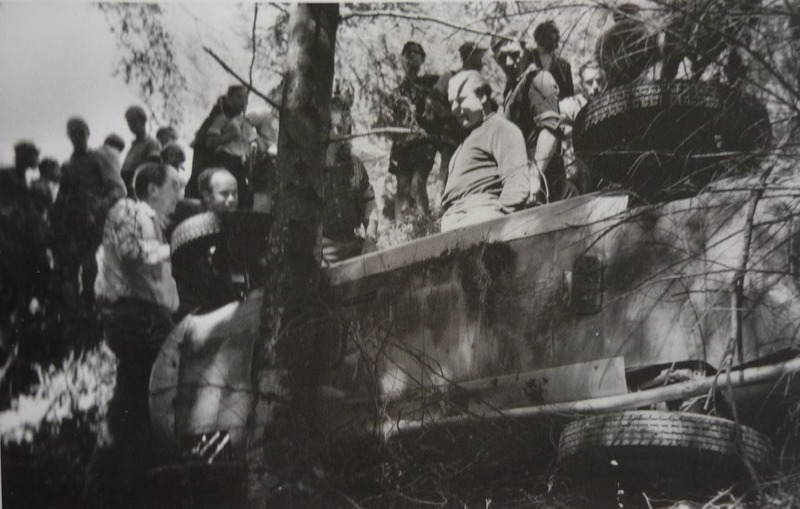 Cars were ordered by Willy Heeks, Karl Gommann, Helmut Niedermayr, Fritz Riess and Hans Stuck. 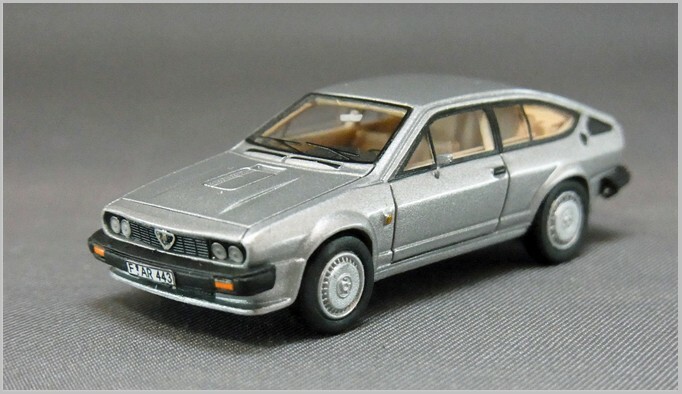 They were all powered by the BMW-based six cylinder except for Hans Stuck’s car which initially had a Küchen V8 that was later replaced by a Bristol engine. 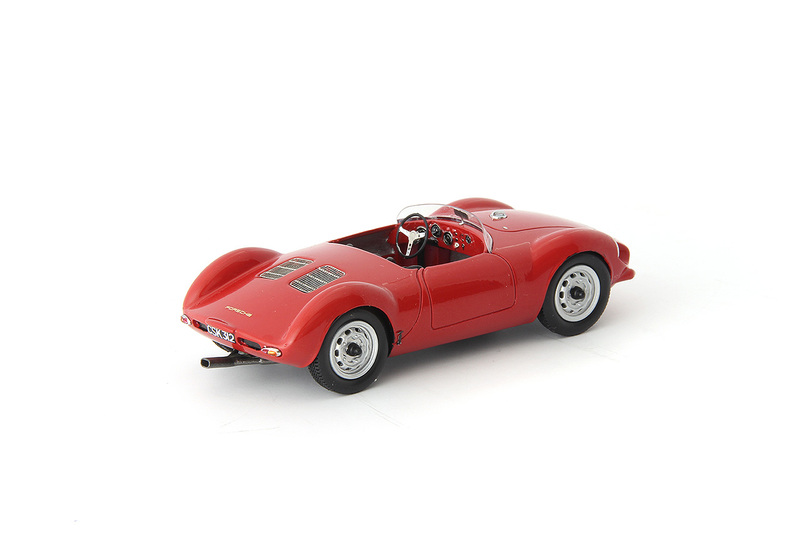 The model by Emmy is based on the car that Fritz Riess from Germany drove in the 1950 Formula Two Grand Prix of Switzerland. Riess who was not familiar with the difficult track in Bern finished the race in 7th place. The following week-end he won at the Eifelrennen (Nürburgring). 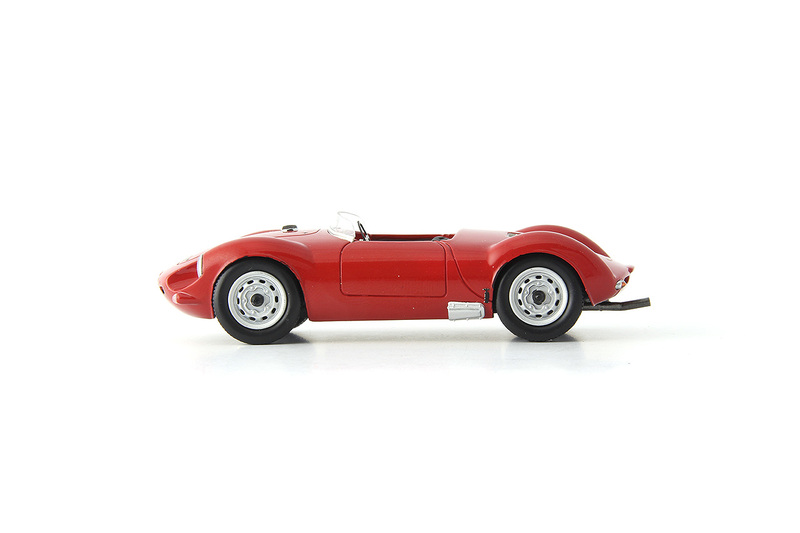 Emmy have modelled the car in both 1:43 and 1:32 scales and both are the same price. Price and ordering details may be found on Emmy’s web site. 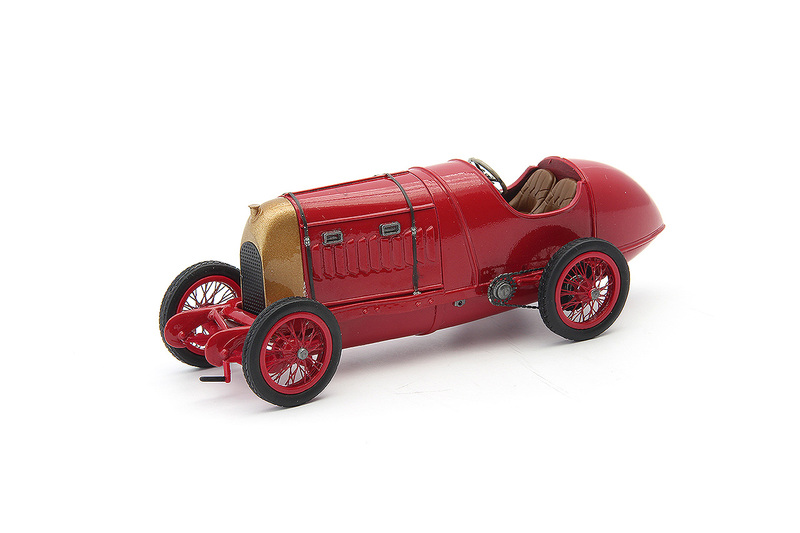 This is another interesting historic racing model from Emmy unlikely to be made by anyone else. Note: we have not been too lazy to produce some detail of the underside of the car. The underside of the AFM 50 was covered by a panel and was almost flat as shown in the photograph above. Back in April, MAR Online announced that our readers could vote for inductees into the Hall of Fame. The ceremonies in Las Vegas are now over and the winners announced! 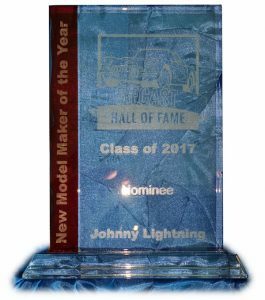 See the newest inductees here. Also, some images of the event itself are at this link. A lot of familiar names are on the list, plus some that have never appeared in MAR Online. if you’d like more coverage of some of the winners, let us know! Photographs are by, and copyright of the Author. Well, I can now shed some light on the topic (hopefully you will forgive me for that as you read on) as I have now found a second, more complete example. The pictures show that this must have been a (possibly commercial) display model of some sort. 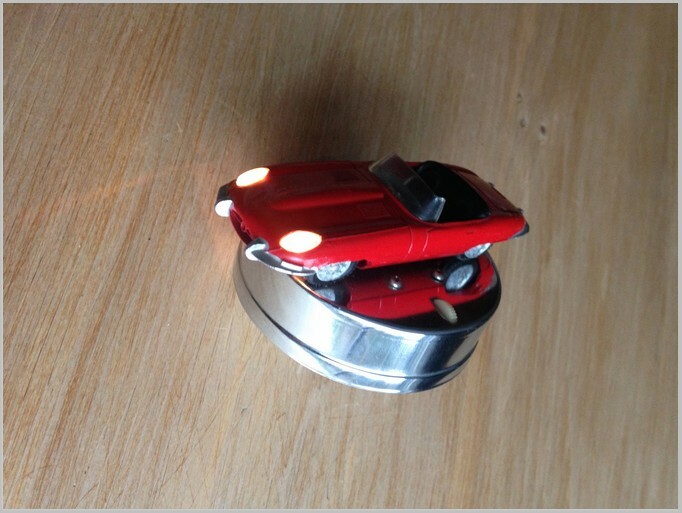 I didn’t realise it when inspecting the first model for the earlier article, but the headlights are operative! The unexplained hole in the base is the pass through for the wiring to the headlights, and on re-inspection of my first model, I can see wires thru the hole in the base leading to the lights that were cut to make it a static display model. 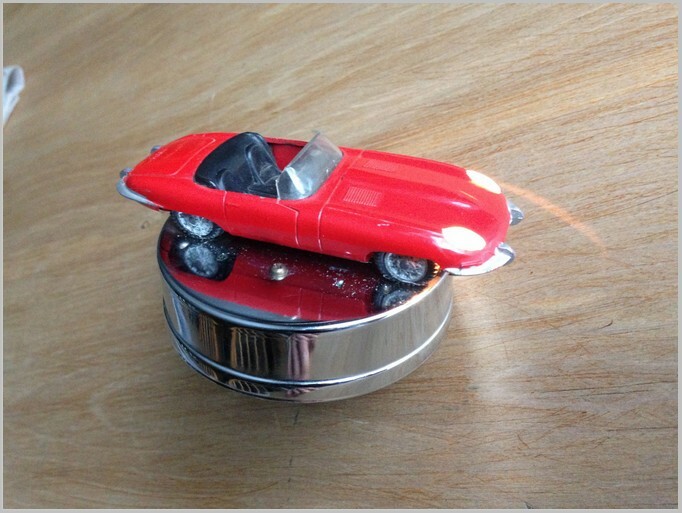 The model is mounted to a chromed circular base with screws via the two screw holes discussed in the first article. A rotary switch turns the headlights on and off. But there is more – there’s an electric motor hidden in the chrome base with the drive axle protruding from the bottom, so it is evident that the whole chromed brace would rotate with the model fixed on it. I know nothing about electricity (except on and off), so cannot verify if the light switch also activated the motor via the two AA batteries, but if that were true, then my motor is inoperative. 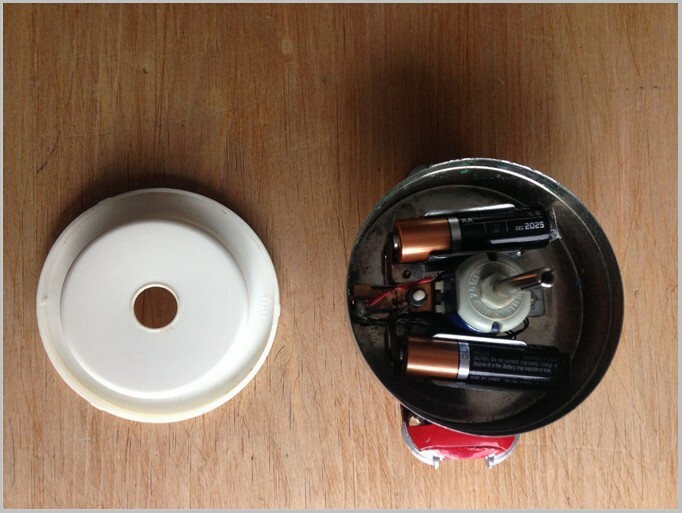 I don’t see any further attachment points for electricity supply, nor is there a pass through in the plastic insert for additional wires if the power source was exterior to the batteries housed in the chromed base. That said, there is obviously still something missing, as this whole structure would have been mounted to something else, but what? Of note, both the electric motor and white plastic insert to the chromed base, visible in the pictures, are marked “Japan” so that may be a clue to it’s origin. Japan has an early history of copying models, and the original Tekno E-Type was from the 1960s, but I can only speculate here. I’ll continue to try to get to the bottom of this mystery.